Looks Good from the Back: Stuff I Like: Reading, Listening, Wearing, Visiting. Stuff I Like: Reading, Listening, Wearing, Visiting. This Book That's Super Creepy. I FINALLY FINISHED 1Q84 and oh my god never again. I like a long book but, damn. Nope. 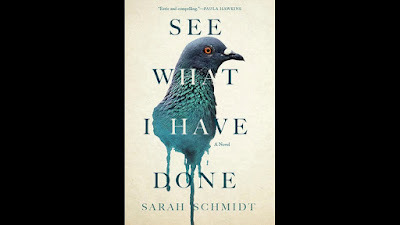 So now I'm reading See What I Have Done, a weird re-imagining of the Lizzie Borden murders which were never solved. Creepy old timey true crime! It's a really weird story if you don't know much about it and this book, which is gorgeously written, is Sarah Schmidt's debut novel. Also, if you like this kind of thing I highly recommend Asta's Book by Barbara Vine. This New Beck Album That's Refreshingly Cheerful. 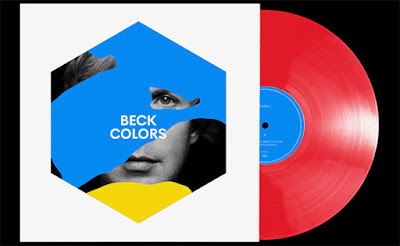 On a whim I downloaded the new Beck album Colors and you guyyyyyys. He's happy again! I did enjoy some of his gloomy/dreamy music but the Beck I really enjoy is more of the Odelay and Midnite Vultures era. Colors is pure pop and exactly what I needed to clear my brain. I've mostly been listening to podcasts for the past few months and I suddenly hit a wall where I just wanted music. Has anyone heard the new St. Vincent? I want that too. This Scarf I'm Obsessed With. I got a beautiful Barbour scarf as a gift last year and it's still my favorite scarf, ever. Barbour is one of those brands that seems to deliver the kind of stiff upper lip classic English quality I enjoy. (Just go with it.) I am all about having good winter scarves to cheer up my bleakness and cheap-and-cheerful is fine, but there's something about a good-quality scarf! 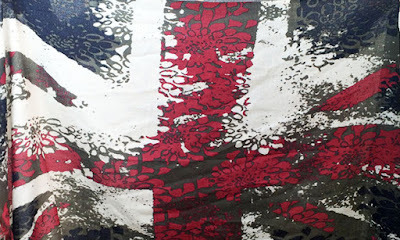 My Union Jack scarf is still available (but definitely wait for a sale.) In the meantime, there are some beautiful tartan men's Barbour scarves on Farfetch that are quite reasonably priced and they are also popping up at TJ Maxx pretty often. Because I'm suddenly obsessed with plaid, I bought this flannel shirt at LL Bean because who am I anymore? I don't even care - I'll be warm and draped in tartan. Hey! I'm going to be on vacation next week and I'll be in San Francisco for a few days. I've been there before but it's been a long time so if y'all have any good eating, shopping or site-seeing recommendations, please leave a comment! Have fun in SF! The Italian Homemade Company on Columbus has the best pasta I have ever eaten. Stinking Rose is always fun if you don't mind garlic. Don't forget to eat dim sum. I also really like the Asian art museum and Coit tower. Have a blast! Thanks! I've been to Coit Tower before but it's been a while. Dim sum is definitely on the list. if the weather is good, walk the Filbert Street steps from the Embarcadero over to North Beach (hit Coit Tower at the top, and take the Greenwich Street steps back): I've lived here in the Bay Area my whole life and only did that for the first time recently--such a slice of SF! Don't miss eating and drinking wine at the Ferry Building, either :-) Other favorite things are the hike at Lands End (seeing the city from a totally other, nature-centric POV), and eating something sweet from Miette on Octavia. 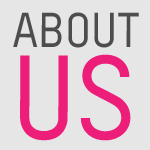 Have fun and tell us what all you did! SF recs: Dosa for awesome, high end Indian food, La Meditteranee (I am spelling it wrong) for great Mediteranian food (seriously, I can’t spell.) Boutique shopping on Fillmore (and in Fillmore neighborhood) and Hayes Valley neighborhood. Site seeing- walk or bike the Golden Gate Bridge, Ferry Building & walking on the Embarcadero, and seeing the views from Twin Peaks. Golden Gate Park! 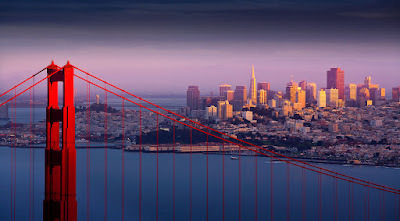 It has the bison, is an amazing urban park, and you can go to the Japanese Tea Garden, DeYoung art museaum, the Academy of Science (planetarium! aquarium! 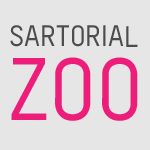 ), and the Conservatory of Flowers. Thank you! Definitely on the list. - lands end visitors center. wear hiking shoes. can be wet. - dim sum at tonkiang- go there after lands end. - baked goods at arizmendi inner sunset, then walk to the deyoung in gg park. - have lunch at souvla on valencia, then craftsmen & wolves for dessert (if you don't have the fro yo @ souvla), then walk up valencia for VOYAGER.